Seven established local artists were approached to represent a cross-section of styles and mediums. 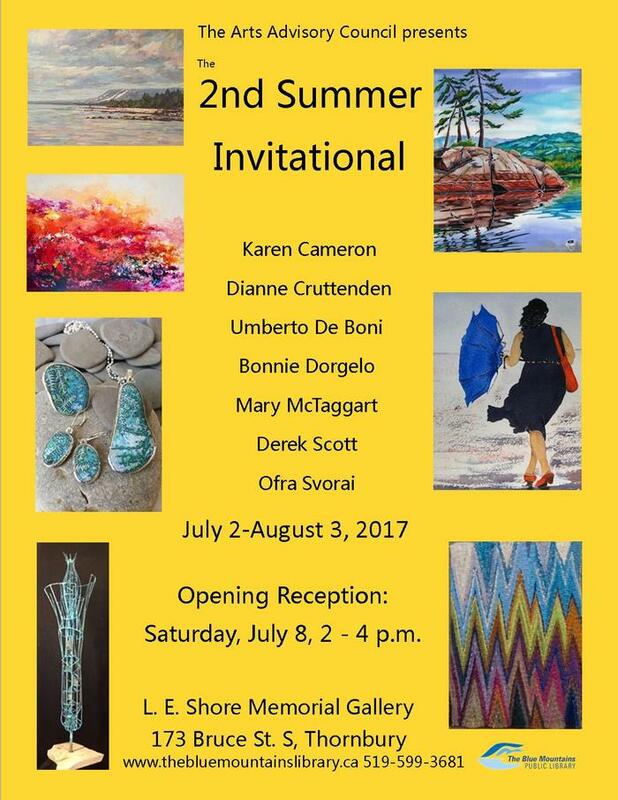 Participating artists will be present at the opening reception on Saturday, July 8th, 2- 4 p.m. in the Gallery, to greet the public and answer questions. 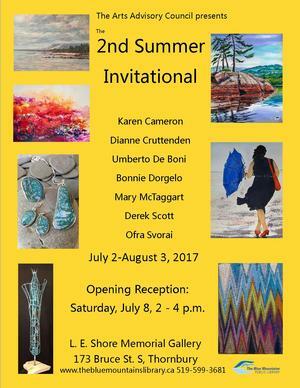 The 2017 Summer Invitational includes Derek Scott, Ofra Svorai, Mary McTaggart, Dianne Cruttenden, Bonnie Dorgelo, Karen Cameron, and Umberto De Boni. The show runs from July 2nd till August 3rd. Phone 519-599-3681 or email aac@thebluemountains.ca for more information.